Cast iron is a group of iron-carbon alloys with a carbon content greater than 2%. It is made by re-melting pig iron along with substantial quantities of scrap iron, scrap steel, limestone, carbon (coke). Care is taken to remove the unwanted contaminants from the process as this could affect the quality of the cast iron produced. Cast iron is used in a variety of applications including cookware, bridges, textile mills, buildings and others. It is also used in metrology and precision work due to its specific characteristics. Before you get yourself a cast iron tool or product, check out the following pros and cons of this material. Long Lasting Durability – Cast iron isn’t going to crack or dent like a solid surface or stainless steel sink. Due to their durability and strength, they stand the test of time without succumbing easily to problems. However, the surface might lose its “finishing” but that doesn’t have a lot of impact on the quality of the material. Natural Non-Stick Capabilities – The best thing about cast iron is that it is naturally non-stick. Due to this feature, it can be cleaned easily and things won’t stick to it. This is also a useful feature when it comes to maintenance of the cast iron product. It works out fine with basic maintenance and care. Excellent Machinability – This is an excellent feature for those who have to work with this material. The machinability of this material helps in cutting it and getting the finish at a reasonable cost and within less time. Resistance to Deformation – The durable nature helps to prevent deformation. This is why cast iron is one of the most preferred material for a wide range of applications. High Vibration Damping – The exceptionally high damping capacity of gray cast iron is one of the most valuable qualities of this material. 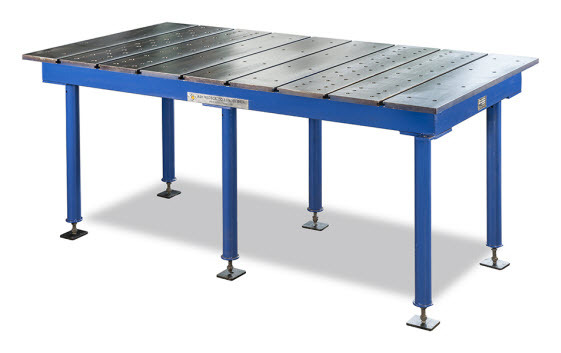 For this reason it is ideally suited for machine bases and supports, component and other testing purposes. The damping capacity of gray iron is considerably greater than that of steel or other kinds of iron. This behavior is attributed to the flake graphite structure of the gray iron, along with its unique stress-strain characteristics. Prone to Rusting – Being composed primarily of iron, the material is prone to rust and eventually it will get harmed by continued rusting. Frequent contact with moisture will only speed up the process but the damage is inevitable. Heavy – Cast iron is heavy and it can make working with it a bit difficult. Plus, all cast iron products have to be handled with care as the weight makes it difficult to carry around safely.